"Zionist children at play. A spring group. The Jezreel Valley is a large fertile plain in northern Israel. Biblical cities such as Megiddo, Beit Shean, Shimron and Ophra were located in the region. In the 1870s a Lebanese family purchased the valley from the Ottoman Empire, and 40 years later they sold 80,000 acres to the American Zion Commonwealth and Jewish National Fund for the purpose of Jewish settlement. 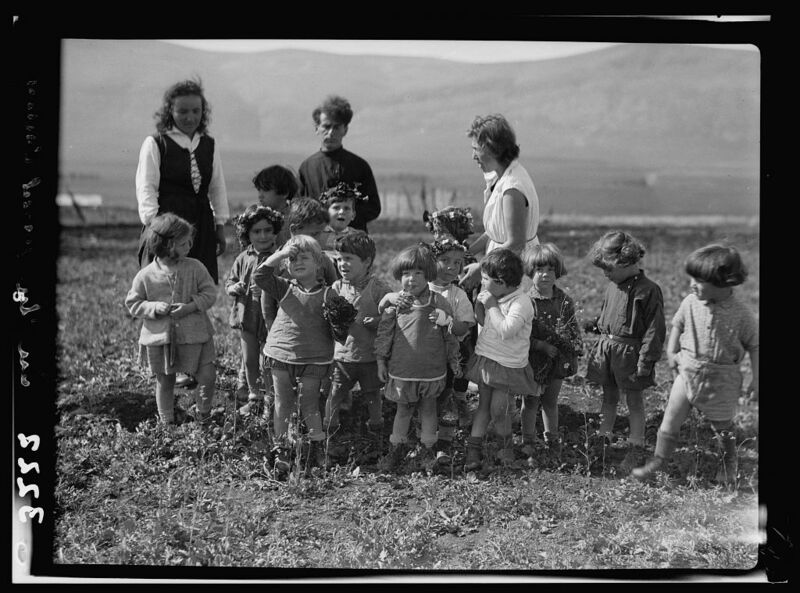 The picture, probably taken in the 1920s shows the children of an agricultural settlement, perhaps Nahalal, a moshav founded in 1921.